Asfordby FC have been given time out of their league schedule to appoint a new manager and rebuild their squad. 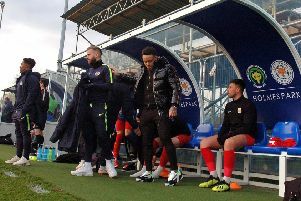 The club were hoping to appoint a new manager in time for last weekend’s Premier Division match with FC Khalsa, but when their favoured candidate withdrew, the Leicstershire Senior League gave Asfordby leave to postpone the match. Jon Allsop’s departure was confirmed last Wednesday with the village side sitting second-bottom, with several first-team players brought in by the former Bottesford manager also leaving. With the league programme reduced for the festive holidays, Asfordby had just one more match scheduled this year – Saturday’s home match with Desford – which has also now been called off. This leaves the club almost a month to find a replacement before their next league match on Saturday, January 5, at home to Ellistown. Club chairman Simon Atherley said: “We are currently in discussions with two experienced managers over the vacancy. “The difficulty for the club is that many of the players were travelling some distance to play and the directors feel that at this time we need a change of direction more in keeping with the community ethos of the club.